Excellent refinement and very composed ride quality. Quiet diesel engine. Superb cabin quality. Spacious for rear seat passengers. Capable off-road if need be. High price. Best ride quality depends on optional air suspension. COMAND system is still frustrating to use. Four-seat accommodation only. No room for a spare wheel. Lots of reported problems with steering at low speeds. 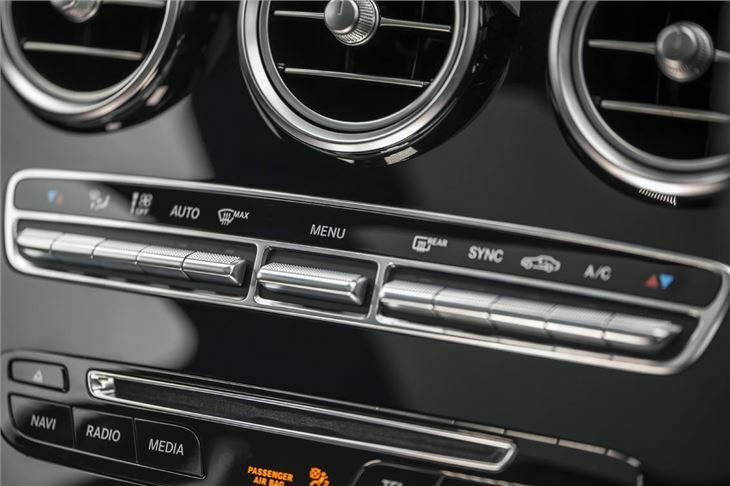 Thanks to Mercedes-Benz’s new and simplified naming convention, it’s easy to understand what the GLC is. It’s a 4x4 (that’s the GL part) that’s loosely based on the C-Class (the C part). 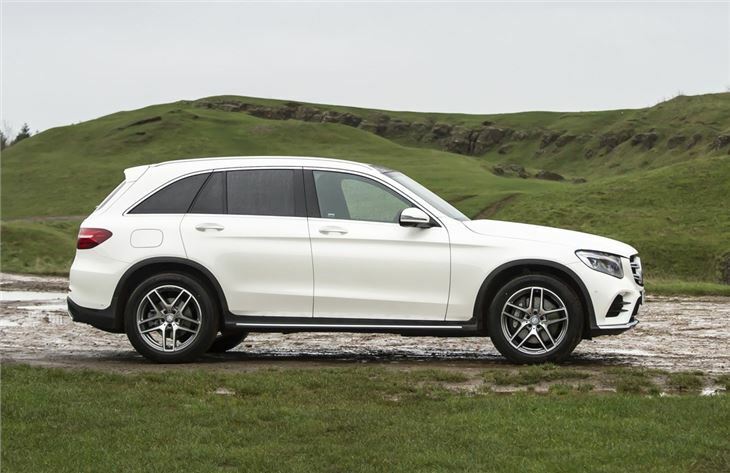 It sits between the GLA and GLE in price and dimensions, and it therefore has two obvious rivals in the shape of the Audi Q5 and BMW X3. There’s plenty of front and rear head and legroom, plus it combines this with absolutely superb all round refinement. 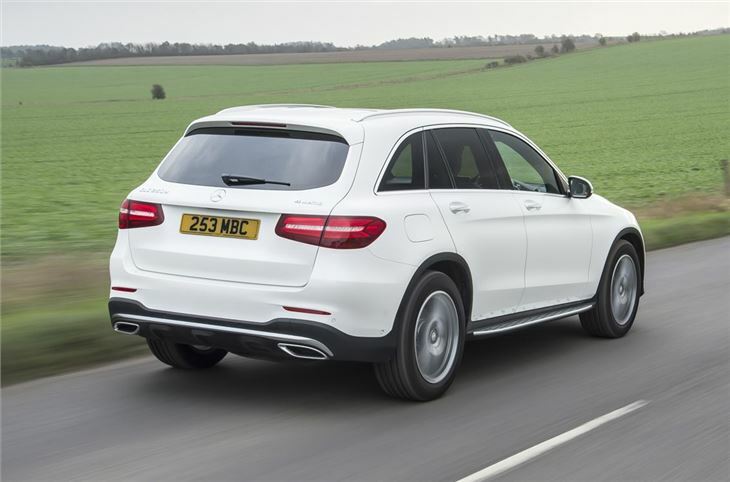 Most of the time, driving the GLC feels like driving a big, gentle, luxury SUV - in the best possible way. It’s the way that Mercedes-Benz has dampened out the outside world that makes that so. There’s very little road or wind noise, even at motorway speed, while engine drone is virtually nonexistent at lower revs. It’s sometimes difficult to believe that there’s a four-cylinder diesel engine chugging away beneath the bonnet. The only two versions available in the UK, for the first 18 months or so at least, are four-cylinder diesels, badged GLC 220d and GLC 250d. There’s a 34PS difference between the two (170PS against 204PS), but not a great deal of performance distinction. Not to worry, because both are quick enough without ever feeling rapid, and they’re both very economical in the context of a big, heavy 4x4, with the same claimed 56.5mpg and 129g/km CO2. That compares favourably to the less powerful base-level Audi Q5 2.0 TDI 150 PS. 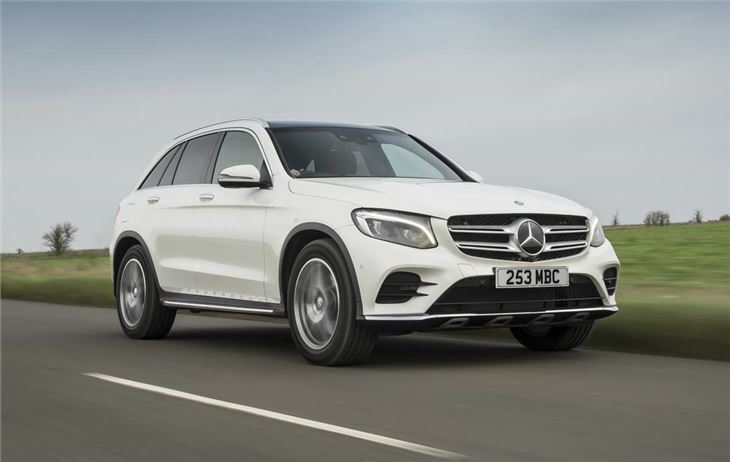 The GLC happens to be excellent off road too, though to pull out the well-trodden cliché, it doesn’t really need to be – that it can traverse the roughest, most slanted and slippery terrain is more a demonstration of how well engineered it is than anything else. With that in mind, the fact it also handles with the finesse of something much smaller is even more impressive. 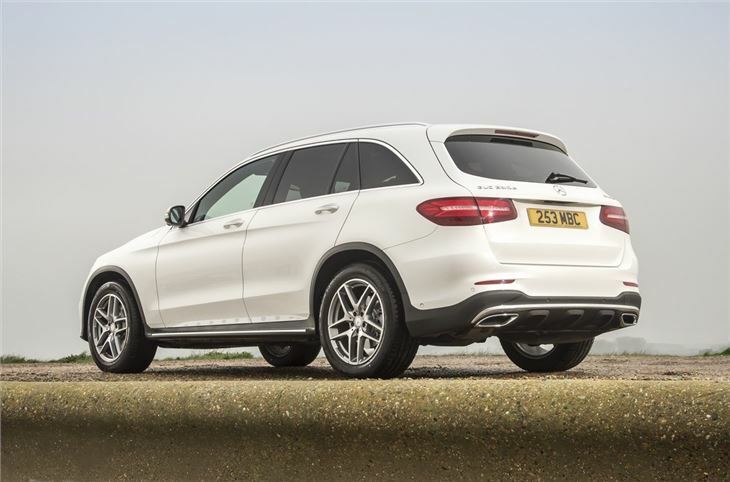 The GLC is, believe it or not, quite enjoyable to drive, thanks to weighty steering and tight body control. But most importantly, it just feels like a really nice thing on the road. It’s spacious and comfortable and its visibility is excellent. 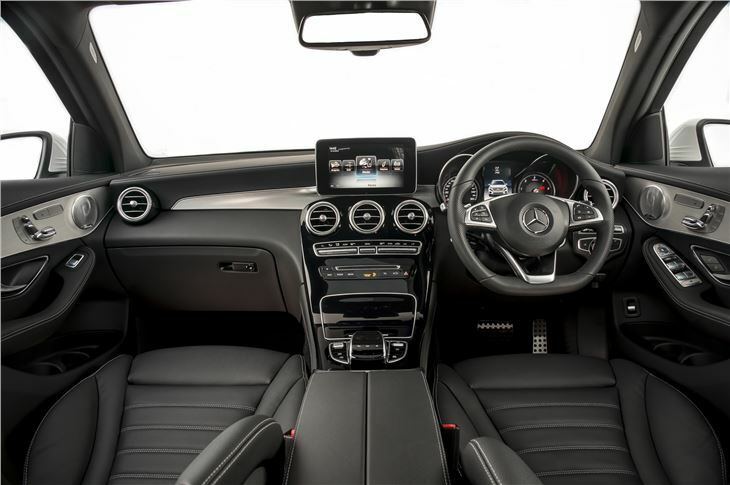 There’s no unwieldiness about it and the cabin – lifted almost directly from the C-Class – is beautiful. The price you pay is, well, the price, which is generally £2000 to £3000 higher than an equivalent BMW or Audi. 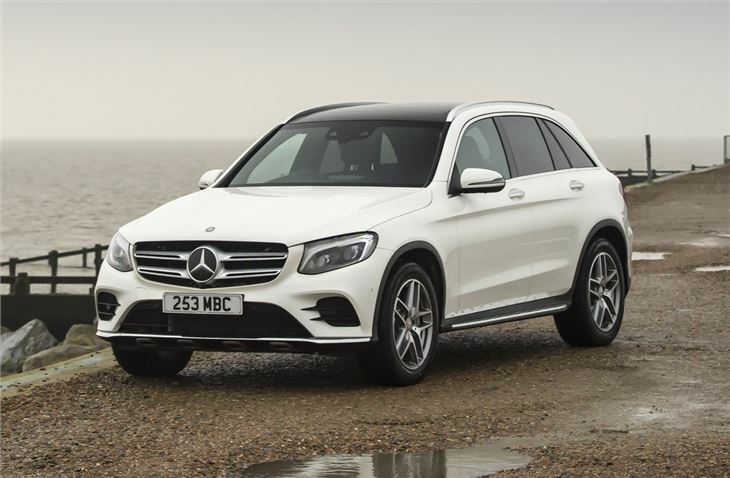 Then factor in that the best version of the GLC needs a host of expensive options, and this becomes one pricey mid-sized SUV. Excellent car with superb fuel economy. An embarrassment to Mercedes Benz. Think I have made a big mistake! !